As you turn the page of the family calendar to the year 2018 you begin the process of getting your life in order. And while many families exist only on a digital calendar that is synched between family members, you still like the traditional paper calendar that hangs in the hallway going to the garage. Everything from pediatric dental exams to doctor’s appointments are recorded on that calendar. It is a visual sign as you go in and out of the house every day that reminds you about what happens next and where you need to be. As a parent of young children, there are few appointments more important than pediatric dental exams. Typically scheduled twice a year when children are young, these appointments help set a standard for oral hygiene for kids. 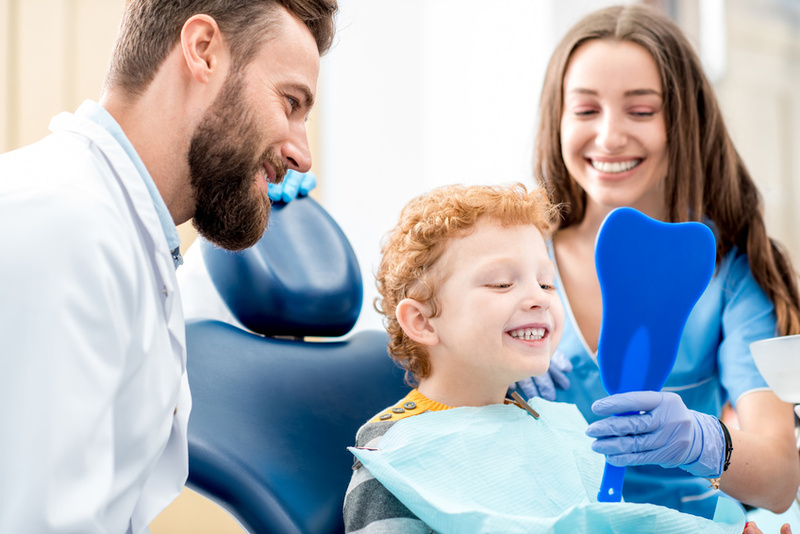 From deep cleaning to checking for cavities, pediatric dentistry offices are specifically designed to complete dental work for the youngest patients. With televisions strategically placed in the ceiling tiles, children can be distracted by their favorite cartoons while the dental professional performs cleanings, exams, and filling procedures. Practice what you preach is a saying that rings true when it comes to good oral hygiene. If children see their parents brushing after every meal and flossing every day they are more likely to make sure that they will follow the same good habits. Most doctors and dentists recommend that children should begin regular dental visits at age one. Unfortunately, 19% of children between the ages of two to 19 have untreated dental caries, according to a report by the Centers for Disease Control and Prevention. Tooth decay is 20 times more common than diabetes and five times more common than childhood asthma, and should be an important focus of attention as parents look to maintain their children’s health. 42% of children between the ages of two and 11 have had caries in their primary teeth, according to the National Institute of Dental and Craniofacial Research. As you get ready to enter the New Year, make sure that include scheduled dental exams for everyone in your family, no matter what their age. Whether you have a digital or a traditional paper calendar, dental appointments should be part of the dates and times that you record. Pediatric dental exams are an important health precaution.